4BR/3BA Mid-Century View Home (circa 1949) in original condition. Breathtaking views from all 3 floors. Top floor has extra large living room with fireplace & enormous window walls with outstanding SF skyline & bridge-to-bridge views. Bedroom on this level also has great city views. Main flr has dining room, older kitchen & breakfast nook, both with incredible views, extra large master suite with Art Deco-style full bath. Second full bath completes this level. Garden level rooms open into large side yard & has 2 Bedrooms, also with views, 3rd Art Deco-style full bath & den. All this & a separate 1609 sq ft pool house. Great location right across from open land, trees and foliage surrounding Sutro Tower. Great place for jogging & walking your dog. Lots of on street parking. 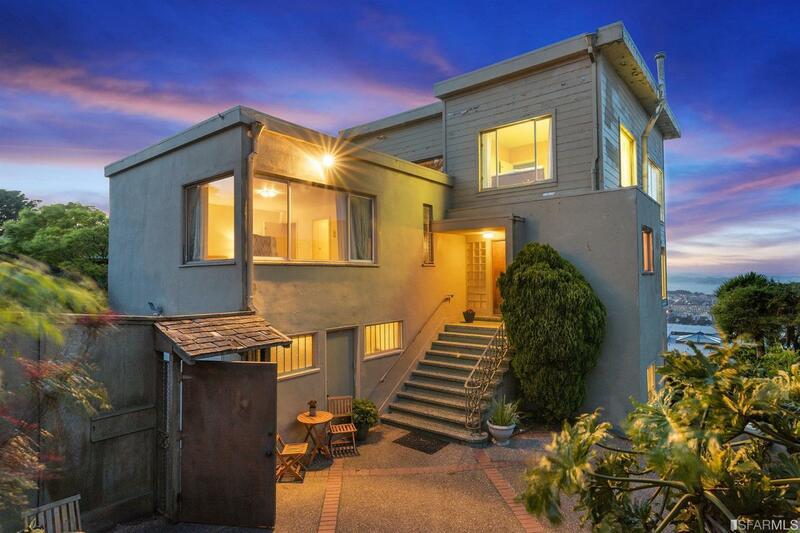 This block is possibly the highest elevation of any residential homes in San Francisco. Great opportunity to restore this property.